Summer: 7 Days a Week. Spring and Fall: Open Mon-Sat. D.H. Docks & Tracks is the areas finest manufacturer and retailer of waterfront equipment. 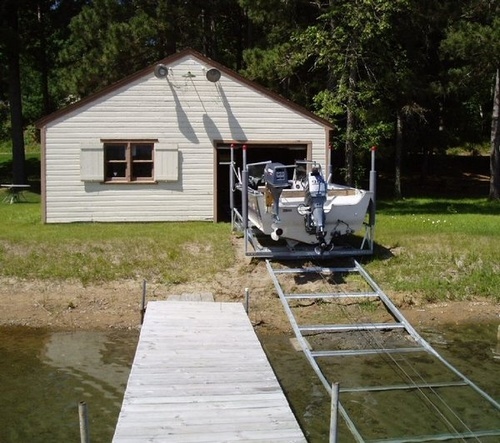 You'll find a huge selection of water toys, and they manufacture the Shore Tracker® Marine Railway System and the second-to-none D.H. Aluminum Frame Dock at their store on Highway 371. Quality, service, and expertise since 1974. Wakeboards, Skis, Tubes, and Toys!